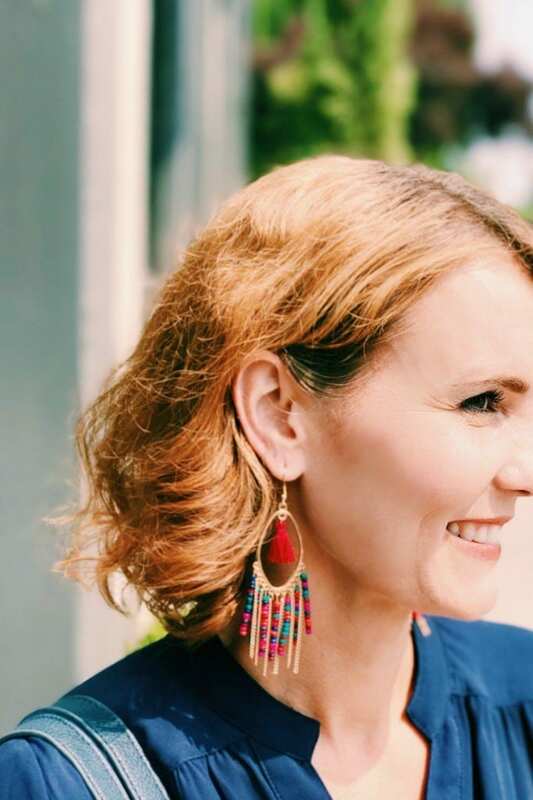 Inside: Do you love tassel jewelry as much as I do? Here’s how to incorporate it into your wardrobe this fall. If you’ve been following me on Instagram, then you know I’m currently in the Pacific Northwest. Washington state to be exact. About eleven weeks ago, my family and I began our year-long trip around the U.S. and Canada. We started off in Texas and have visited Colorado, Wyoming, Montana, two provinces in Canada, Washington, and Oregon. When packing for this trip, I knew I needed to bring clothing and shoes for all four seasons. Choosing what to bring, what to store and what to get rid of was definitely overwhelming. But as wake up each morning to get dressed, I realize how much I am loving having a smaller wardrobe. I know some of you are wanting me to go more in-depth on what I brought with me and I’ll get on that soon. Promise! Would I have room for it? Would I want to wear it? I ended up selling some, giving some away and storing pieces that had sentimental value. What did I bring with me? Whatever could fit in a small cloth jewelry organizer I purchased. Also, if it had a tassel, it was coming on this trip with me. 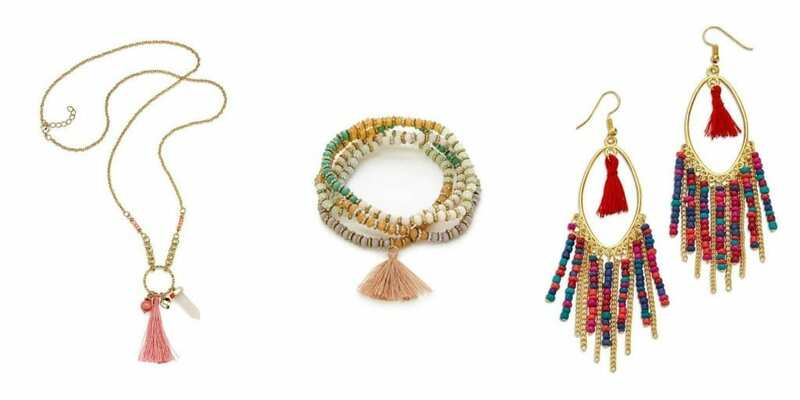 You see, I love tassel jewelry. I like how it can add a bohemian look to an outfit. How it can add a pop of color and interest to an outfit that might just feel kind of, well, meh. And how it can easily transition from summer to fall. 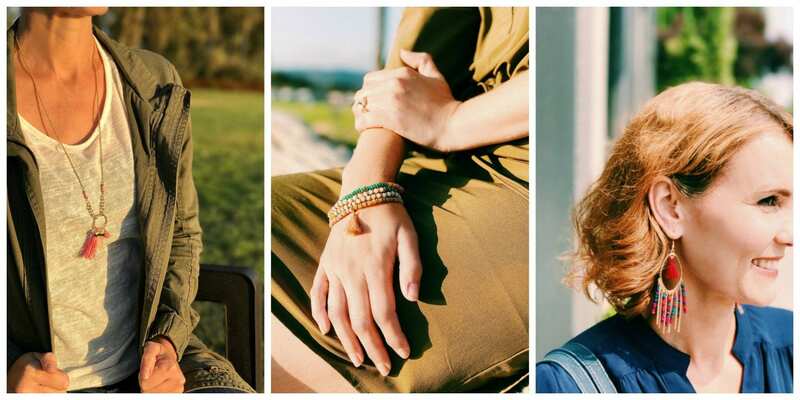 Today I’m featuring three different pieces of tassel jewelry from 7 Charming Sisters. I’ve worked with the brand before and they have quickly scooted to the top of my list of favorite places to buy jewelry. They have a little something for everyone because the company is literally made up of seven women from all different walks of life. The call themselves ”work sisters” and have been colleagues for 10 to 15 years. Hence the name…7 Charming Sisters. Alright, here’s how I incorporated tassel jewelry into my simple, yet functional, fall wardrobe. 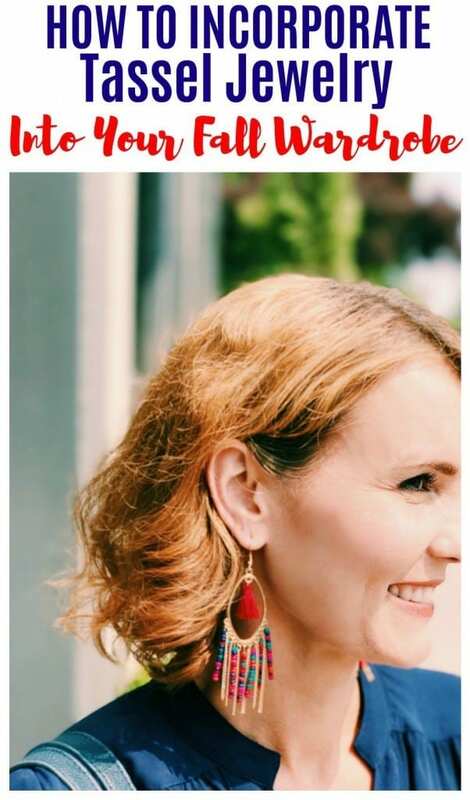 Aren’t these earrings gorgeous?! They’re the Air Like Cider earrings and are perfect for the woman who embraces the bohemian style. 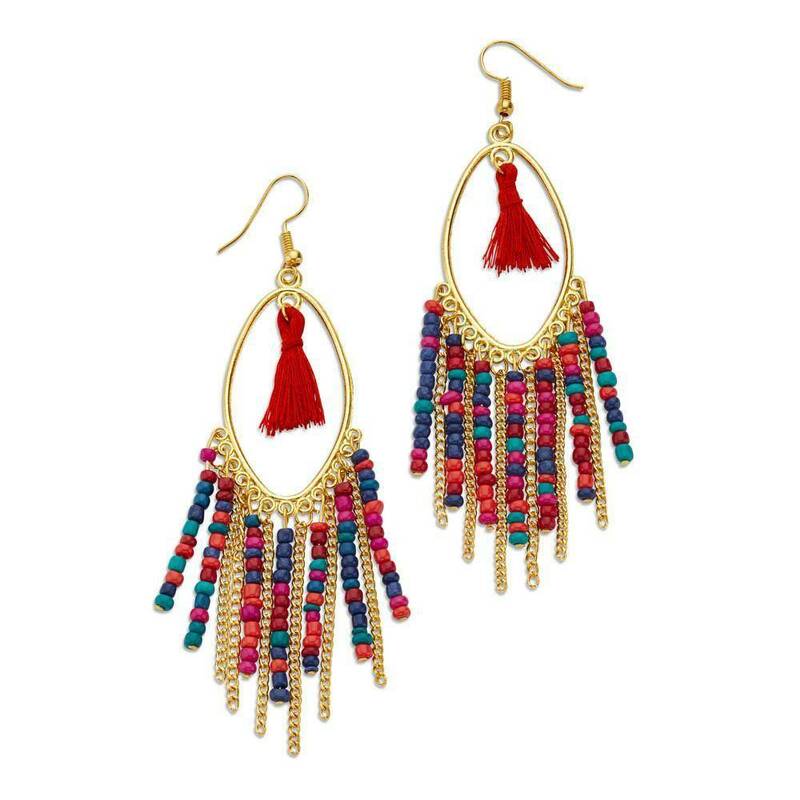 They add a touch of glam with the gold links and a pop of color with the beading and tassel. I paired the earrings with my favorite navy blue tabbed sleeve shirt. The colors compliment each other so well. 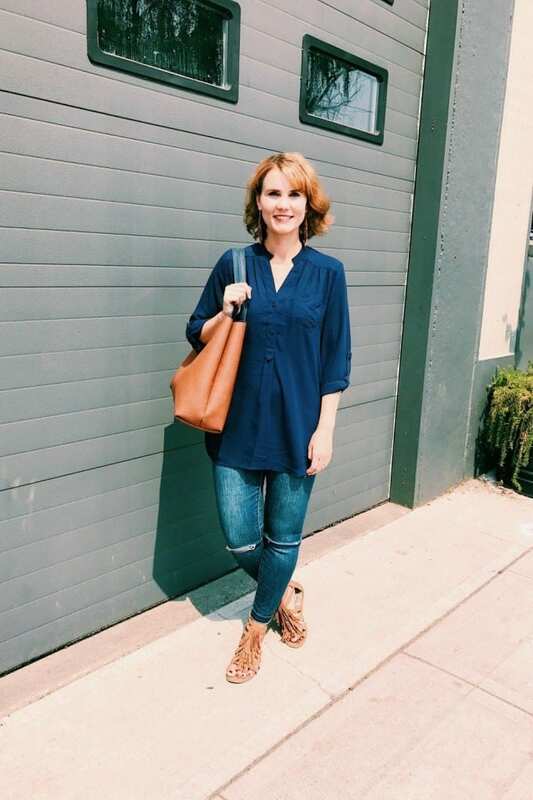 I have a few tabbed sleeve shirts that I wear often in early fall. I wear the sleeves up when it’s warmer and roll them down when it starts getting cool. I also wear my fringe sandals in early fall. They go with jeans, shorts, and dresses and have become my favorite go to pair. 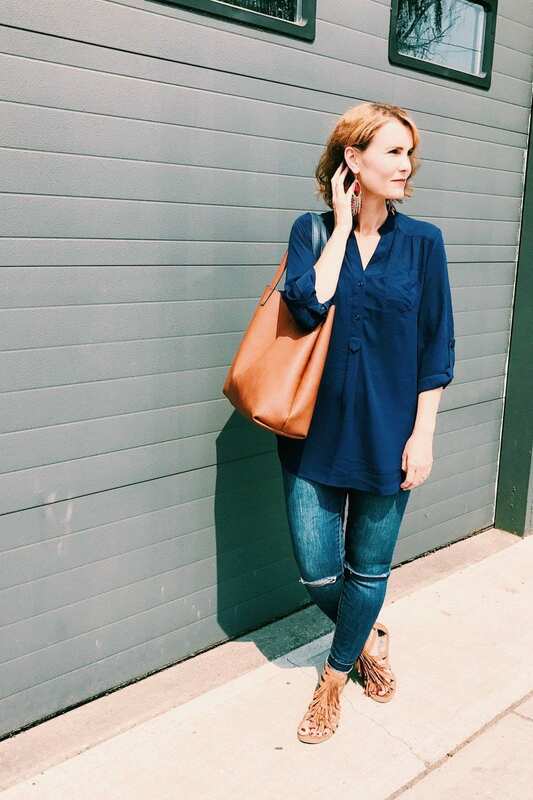 This olive dress is the perfect versatile dress for fall. I added it to my wardrobe last fall and have worn it with a cardigan or just a scarf for added warmth. I can switch out my shoes for sandals or ankle boots. It’s also incredibly comfortable! The bracelet I’m wearing is the Clean Energy Bracelet Set. The bracelets are separate and very light weight. 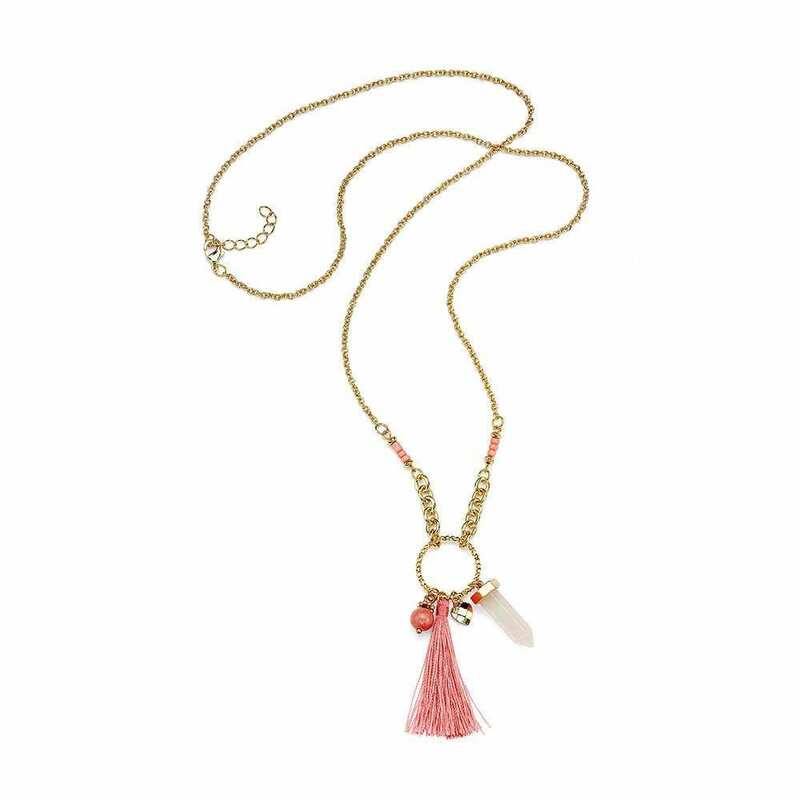 They feature the prettiest rose tassel and beads with warm colors. This is one of those pieces of jewelry you can wear year-round. 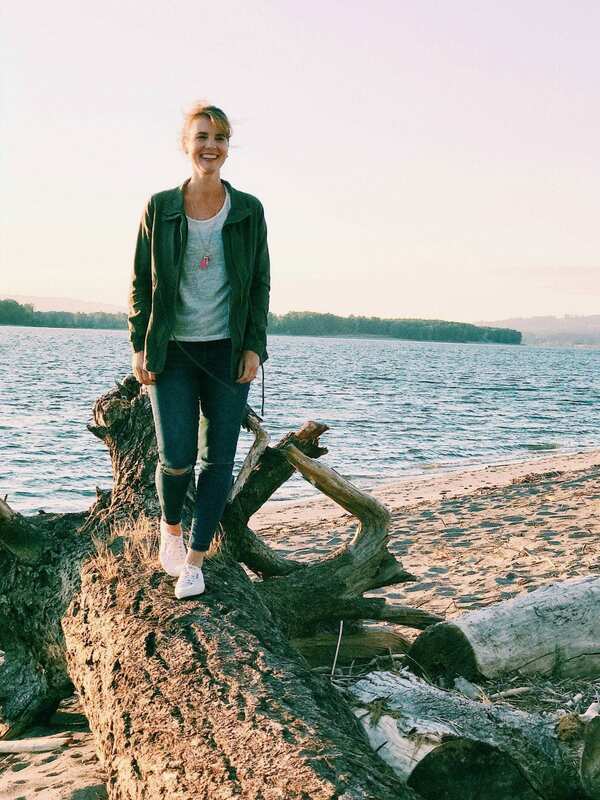 Dressing for fall is all about layering and this olive utility jacket has been with me for years. I really enjoy layering it over a simple white tee. Add your favorite denim and sneakers or ankle boots and voila! – a casual and stylish fall outfit. To kick it up a notch, I added the Thornless Rose Necklace. 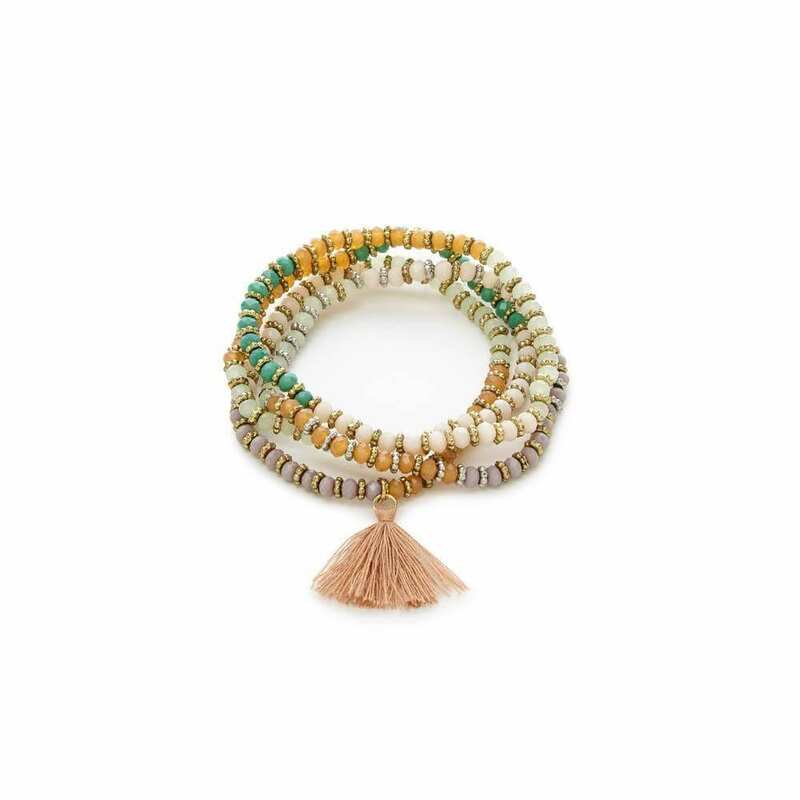 It features a tassel, white quartz, and other charms for a fun look. I wore this necklace alone with a casual outfit, but it would go just as great with something a little more dressed up. Like your favorite Little Black Dress. You can also add shorter gold pieces for a pretty layered look. Are you ready for fall fashion? I’ve already broken out some of my fall pieces because this Texas girl is freezing up north! Don’t forget, use code MomFabulous15 to get 15% off your order at 7 Charming Sisters! 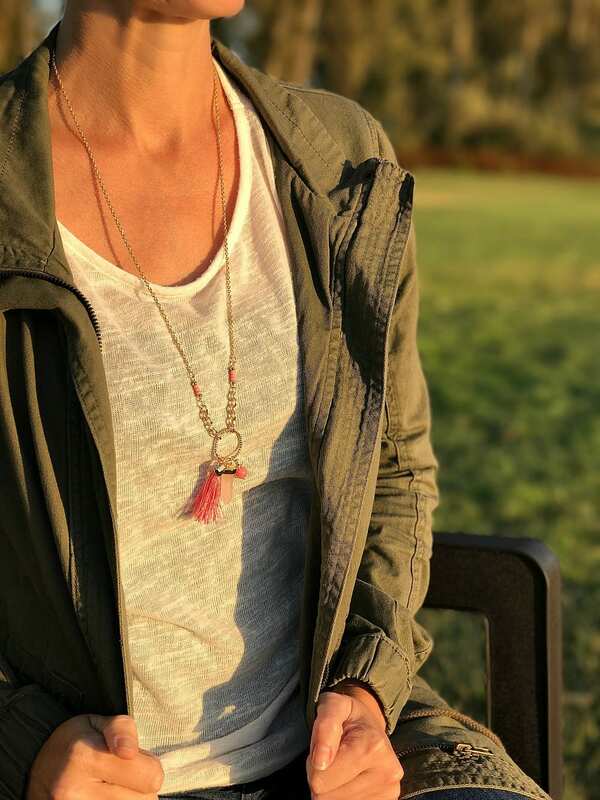 I love the tassel necklace, so pretty! I have a few myself. Love the earrings too, but I just don’t suit dangly earrings. I wish I did! I love that olive dress but I also love the outfit with the white sneaks! My mom loves those type of jewelry too! I love the tassel trend! The way you styled your look around it is fabulous!